Are you one of the tens of millions of Americans who make up the “sandwich generation”? You may not realize it, but if you’re caring for aging relatives while also supporting children, you are part of this fast-growing, and often over-burdened, group. 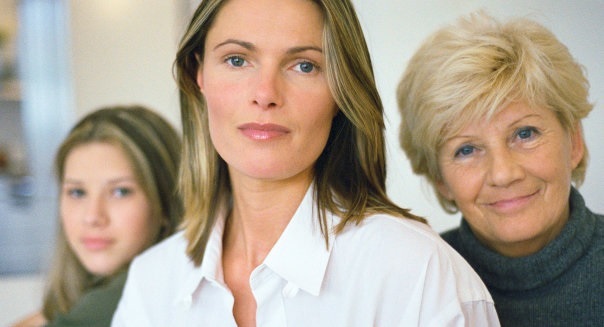 According to a 2013 study from the Pew Research Center, one in seven middle-aged adults is raising a child while also supporting a parent or older relative, with women (daughters and spouses) making up the majority of this caregiving workforce. How can other “sandwich generation” caregivers help find balance in their lives? 1. Find a team. Team-based care, like the kind delivered by Housecall Providers, connects patients with a diverse group of professionals (physicians, nurses, social workers, care coordinators, chaplains) who can provide holistic, person-centered support for the entire family. If your loved one has difficulty leaving the home for doctors appointments, consider connecting them with home-based medical care. If your loved one is struggling to manage the symptoms of their illness, or are entering the final stages of their disease, the advanced support of an in-home palliative care or in-home hospice team may be helpful. 2. Ask for help. Often, sandwich generation caregivers are reluctant to ask for help, thinking they should be able to handle everything on their own. But sharing the responsibilities of caregiving is important for the whole family. Are there other family members, neighbors, or friends who could help out once or twice a week with tasks like shopping, chores, or laundry? Even distant family members can pitch in with a bi-weekly phone call, and many tasks, like ordering groceries for delivery, can be handled remotely by phone or online. 3. Let go of guilt. It’s perfectly normal and very common to have negative feelings about caregiving, including anger, resentment or guilt. These emotions can sometimes be tough to handle on your own. Consider reaching out to local organizations who offer education, resources, and support to caregivers. Simply connecting with other individuals struggling with the demands of caregiving can help normalize feelings of guilt and reduce overall stress and isolation. 4. Take time for yourself. While it can sometimes feel impossible, practicing good self-care gives you the internal resources to take care of others in your life. As much as you can, try to get enough sleep, eat balanced and nutritious meals, and exercise. Schedule time to do something just for yourself- whether it’s taking a walk with a friend, enjoying a hot bath, or spending an afternoon browsing your favorite bookstore. Even a few short interludes from the pressures of caregiving can help you balance a demanding life. 5. Plan for the future. When we’re busy managing the day-to-day, it can be hard to find time to plan for the future. But as a family caregiver, knowing what your loved one wants can help your family manage future changes. If possible, speak directly with your loved ones about who should make medical decisions for them if they cannot, and what kind of care they would like. Many organizations, like the National Institute on Aging, the American Bar Association, Oregon Health Decisions and the AARP offer tools and resources to structure and document your loved one’s wishes. The Conversation Project has an online starter kit that can help guide your family through an important discussion about care at the end of life. If you’re receiving services from Housecall Providers, you can always ask a member of your care team for help in having these vital conversations.